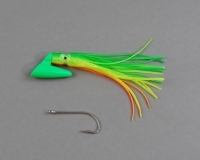 The Pirate Plug is a very effective lure for catching King Mackerel, Mahi Mahi, Barracuda, Amber Jacks, and False Albacore. 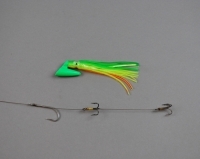 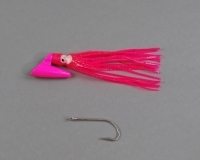 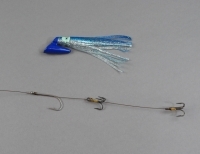 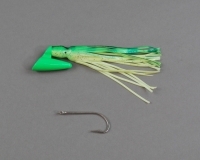 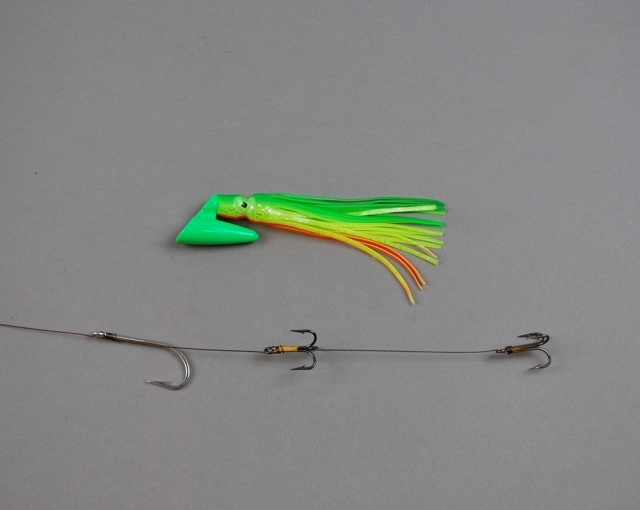 When rigged with a bally hoo or a cigar minnow, these lures work so well because the unique design prevents bait from spinning when trolled at any speed. 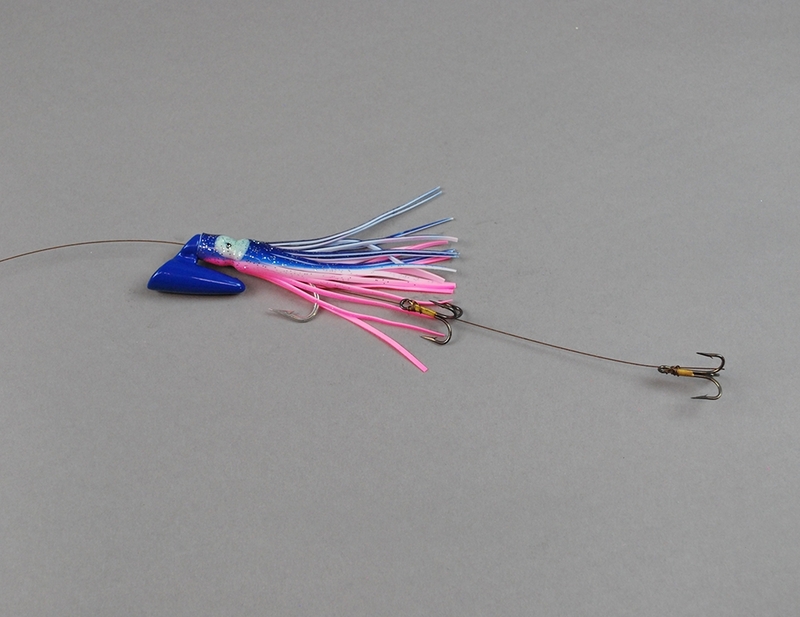 Rigged using AFW Stainless Steel 1x7 brown cable, one 4/0 Mustad 3407 SSD nose hook, and two #4 4xstrong treble hooks.